The new access project to the Castle Hill that is based on the Soft Accessibility Plan and Assisted rothe Castle Hill, contains a set of proposals concerning to accessibilities between the downtown and the top of the hill, based on the introduction of mechanical means. Will help to attenuate the barriers imposed by the topography of the land and the characteristics of the urban fabric of this historical area and to act as a social exclusion and territorial isolation factors. This accessibilities project has 5 routes, one of which the Route Downtown/Castle. In August 2013 completed the connection route from Baixa to the Castle that was part of the requalificati of Vitória Street and the creation of two public lifts one at Fanqueiros Street / Madalena Street and the other at the Chão do Loureiro Market . These lifts have contributed to a strong stimulation of this area, registering an average of inputs and output of 60,000 visitors / month. Graça route- With its implementation is intended to connect the Sophia de Mello Breyner Andresen terrace to the Alta Mouraria sites which, despite its geographical proximity, remain separated by numerous obstacles arising from the winding path of the urban network and steep slopes that characterize , which constitute a deterrent factors of pedestrian movement and its full enjoyment. This link will also allow, via a funicular, the integration of the territory designated as High Mouraria in business circuits of the city, and return on investments held there if the Innovation Center Mouraria, in the Quarteirão dos Lagares, whose works are all most finish. The Mouraria route– The Mouraria route, through which it intends to establish a continuous connection, partially assisted by mechanical means (escalators), between Martim Moniz and the St George Castle, composed by 3 paths that will link Martim Moniz to Ponte de Lima Marquis Street, this Costa do Castelo and the Costa Castelo to St. George Castle. Its implementation will win the gaps imposed by the topography of the area and access to the top of the Hill in comfort and safety. The creation of this route is also the parto f a strategy that the Council has implemented this historic neighborhood over the past few years, to promote not only their rehabilitation, as well as, its integration in the city, contrary the insulation that was being conferred by its history and urban characteristics, despite its centrality and proximity to downtown. Alfama route – This route is being built, vertical lift will connect Norberto Araujo Street the Santa Luzia terrace. The elevator will be installed in a group of buildings whose rehabilitation works are taking place, not far from the future Cruise Terminal. See the route – The Cathedral of course order the connection between the Campo das Cebolas, which will be subject of a public space requalification intervention , and Largo da Sé, by introducing a lift. The text translation is entirely of my responsability. 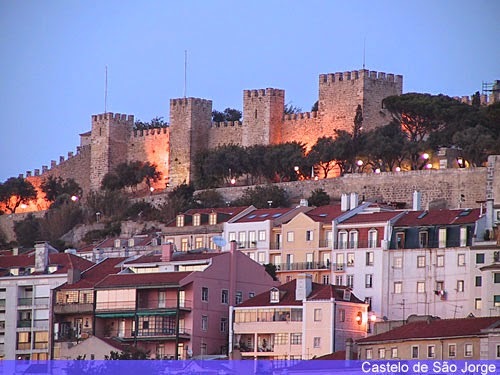 ‹ PreviousNovas Acessibilidades à colina do Castelo em Lisboa.